The birth of Tecno Mobile in 2006 paved the popularity of dual-sim phones on the African markets. But before the company became a leading mobile brand all over Africa, it did not have a good start, as it received a series of negative feedback from the consumers in their target markets. They struggled more in Nigeria, where a majority of mobile users found Tecno smartphones as substandard. However, Tecno Mobile has captured the hearts of the Nigerian consumers as it continues to create more sophisticated smartphones every year. The Tecno Camon C8 helped the mobile phone manufacturer compete with market share of Samsung, and Apple in Africa. They constantly receive positive product reviews, which led to the company's recognition of being one of the top smartphone companies in Nigeria in 2016. 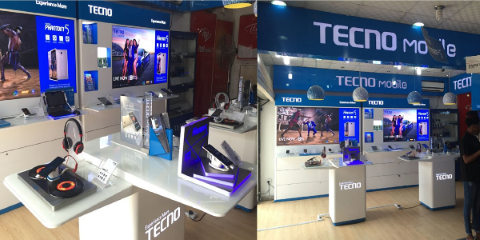 These are the 10 reasons the Tecno Brand has improved on their latest devices. There are several features/functions that come with newer Tecno smartphones, but we picked this 10 as the sugar-coated out of all. 1. 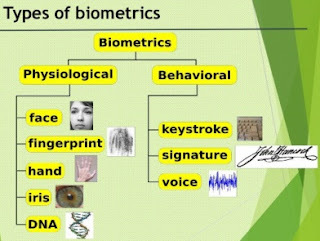 Bio-metric Authentications is a security process that relies on the unique biological characteristics of an individual to verify that he is who is says he is. Biometric authentication systems compare a biometric data capture to stored, confirmed authentic data in a database. If both samples of the biometric data match, authentication is confirmed. These systems are divided into various types which include Fingerprint Recognition, Iris Recognition, Vein Pattern, Voice Recognition, Signature dynamics and face detection. Smartphones have become the safest and easiest place for mobile device users to store their important files, multimedia content, contact details, e-wallet etc. This practice is very convenient, however, it can also be a problem if the device cannot lock out unpermitted users. Fingerprint scanner seems to be on trend now; it has become a feature most persons consider before the purchase of a smartphone. Tecno latest smartphones possess multi-functional fingerprint scanner. The Phantom 6 Plus comes with state-of-the-art trifold security that includes a fingerprint scanner, eye recognition reinforced security and a reliable antivirus. 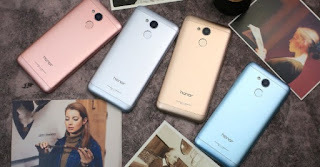 Before the introduction of HiOS, it was difficult to distinguish TECNO devices from other generic Android phones apart from the TECNO's logo because they lack a unique user-interface that is peculiar to TECNO. The HiOS is a customized User Interface from Tecno embedded to its Android 5.0 (Lollipop) devices and above; it packs a lot of cool features to give your smartphone an elegant look and ensure the great performance of your device. d. Hi Manager: It manages all apps in your smartphone, increases your device performance in just once click and minimizes your battery usage. Tecno smartphones pack encouraging battery capacity ranging from 3,500 – 5,200 mAh. And also, with the Tecno HiOS UI now present in their devices, your 3,500 mAh battery will last as long as a 4,000mAh battery of some other phone's battery. The Tecno L series, Camon series, and Phantom series boasts of good battery capacity. Truly, one can hardly oppose the fact the Tecno phones comes with astonishing camera life. Starting from the introduction of its "Camon series" to the Flagship of the "L9 plus" and then to "Phantom Series", Tecno phones has indeed proved to be unbeaten by its close competitors when it comes to Good Camera Quality. The flagship of the Camon CX and CX air indeed made a great impact in mobile photography as it is packed with whooping 16MP camera's (both rear and front) with ring flash technology. The new Tecno HiOS supports OTA (Over The Air) Updates, which means; users of Tecno smartphones with Android Lollipop (5.0) can now upgrade to any newer version of their choice (Android 6.0 Marshmallow or 7.0 Nougat) via OTA. Nigerian mid-class income group often refers to Tecno as a brand that's only interested in churning out cheap plastics and where hardly proud of owning one during its early days. Tecno has made a reasonable improvement on their hardware/firmware compared to its early days. Their devices are mostly powered with latest MediaTek Processors and powerful GPU's that aids performance and multi-tasking. With a 1.5 GHz MediaTek MT6750T Octa-core processor and Mali 860 GPU, multi-tasking ain't a problem for you. OTG is a short way of saying "On The Go". Therefore, OTG cables mean On The Go cables. When it comes to smartphone device integrated technology, the invention of OTG USB cables is one of the best and coolest innovations so far. The OTG cable can be used to connect two devices and work with them at same time. Almost all newer versions of Tecno devices support the OTG feature. 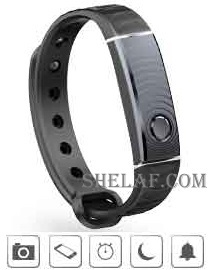 T-band is an innovative smart bracelet, launched in the middle of the year 2016 with Tecno Camon C9. T-Band assists long distance shooting, monitors sleep patterns and steps, alerts owners of calls and theft. It is working on any Tecno smartphone running Android 6.0 Marshmallow. That is all for now. Have more tips/suggestions? 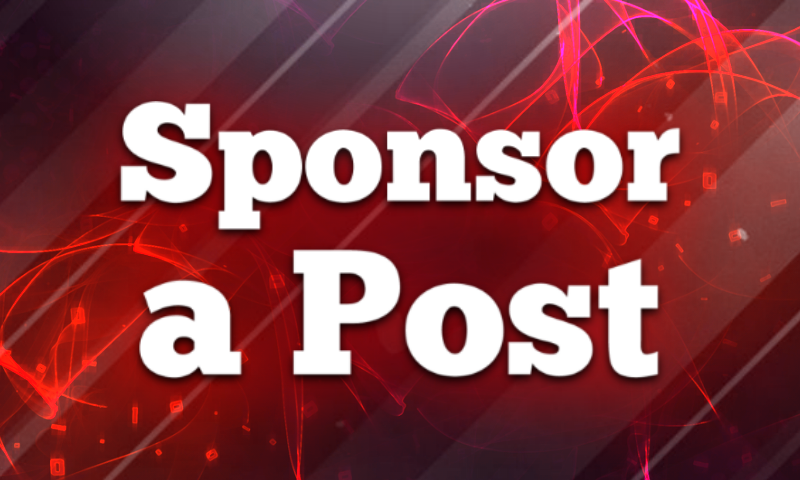 Please do share with us in comments. 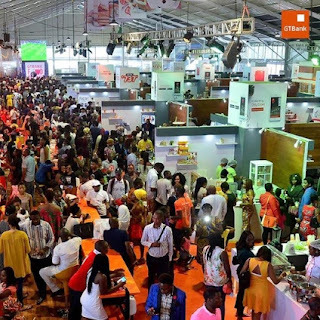 GTBank has recognized for its strength in innovative banking. The bank invests a lot in the appropriate technology to continually come out with innovative means of providing convenient banking solutions for its customers wherever they find themselves. GTWorld is the latest of such innovative solutions. Guaranty Trust Bank has launched a new Internet banking app called GTWorld, it's a mobile application that brings all the transactions at your fingertips in a new science fiction style. The new platform is set to displace the former mobile app because I see a lot of potentials with it, especially the fascinating options of login patterns such as biometric (fingerprint and facial recognition), PIN, token and password options. With GTWorld, you have a Mobile Banking App that is designed to cater to all that's important to you easily and seamlessly. The facial recognition feature means that you now have a mobile banking App that recognizes you and adapts to how and when you want to bank. Login and complete your transactions using your face, fingerprint or a 4-digit PIN. Check your account balance; transfer money within your accounts and buy airtime; all without having to sign in. Apply for loans and set savings target right from your phone. Set up a new account and view your account balance(s). Install GTWorld on your mobile device. 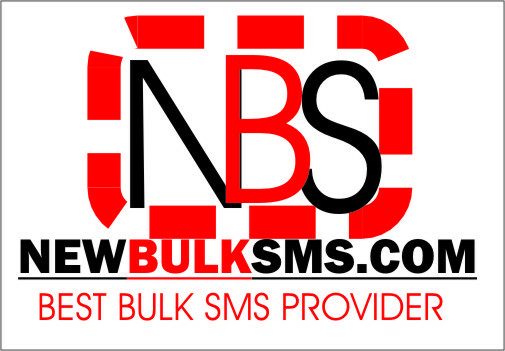 NB: If you do not have a password you may dial *737*6*5# from your registered mobile phone for your login details. And if you have forgotten your password, please click "Forgot Password?" on the login page to reset your password. At first login, you will be asked to authorize your mobile device to access the app. If this is your preferred device, please select 'Yes' and choose if you would like to create a 4-digit PIN for your banking transactions. A 6-digit secure code will be sent to your registered email address to verify your device. If you do not receive this message please generate a code from your hardware token or dial *737*7# from your registered phone number to obtain a one-time verification code. 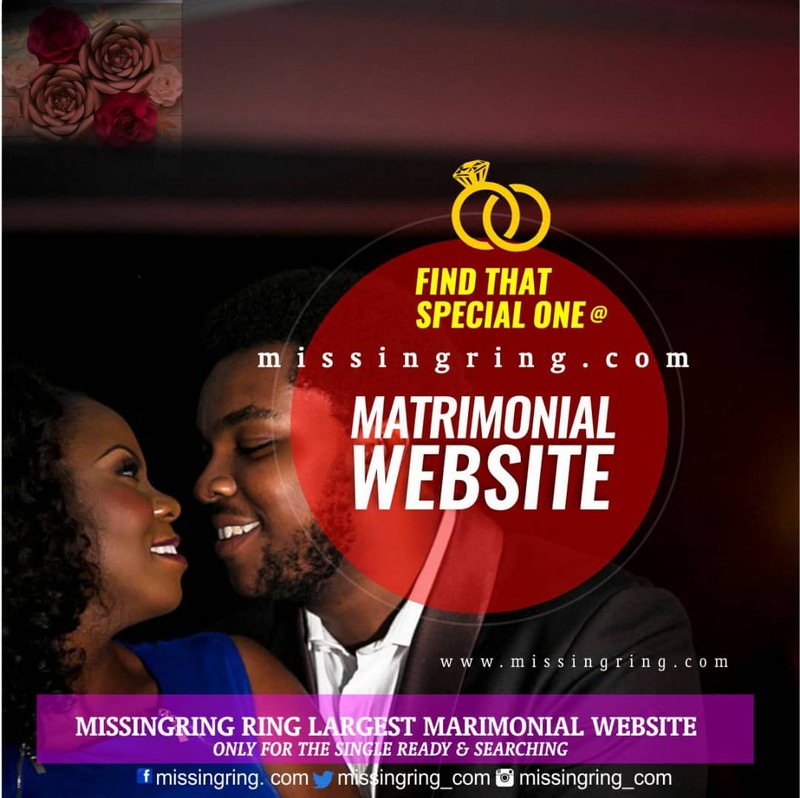 You can also call GTConnect on ‪08039003900 or ‪08029002900 for the verification code. Enter this code in the app and your mobile phone will be successfully verified against your account profile. Now you can start using the App. Please note that this is required only when using a device for the first time. If you chose to use the token as your preferred means of verifying your transactions, you will also be sent the 6-digit secure code via your registered email to verify your device for the first time. Enter this code and your mobile phone will be successfully verified against your account profile. You will then be able to start using the GTWorld with your hardware or 737 Token. Please note that you will be asked to select a preferred option for login and completing your transactions, from which you have the options of Password, PIN, Token, Fingerprint and Facial Recognition. You can always change your preference in settings. 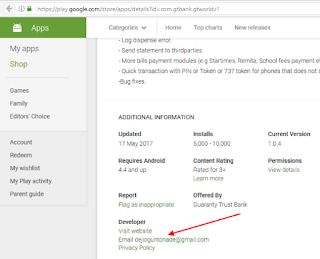 The email address of the GTWorld app developer looks suspicious, but we have done the proper verification and we discovered the app is genuine, so don't be afraid of using the app. 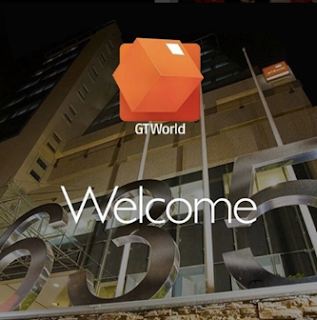 The GTWorld mobile app downloading links were posted in all of the GTBank official social media: GTBank Google+, Facebook Page, and Twitter. We also contacted the bank and here is their reply "Hi, thank you for chatting with us. Please be informed that the GTWorld is an advanced option to our mobile banking app and has more features." So it's genuine, safe and official from GTBank. The number of counterfeit products (cloned smartphones) seems to be increasing daily in the market, lots of people are really buying fake smartphones thinking it's the original. There are fake versions of Infinix smartphone in the Nigerian market, making it difficult to even identify the original. Many people face this trouble when it comes to choosing where to buy the latest original smartphone in Nigeria. 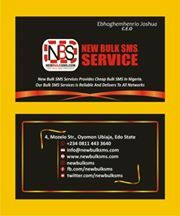 This is not their fault because there are many mobile phone shops in Nigeria, but the question is which of these mobile phone dealers sell original phones with warranty. In a way to stop these determined sellers from flooding the marketplace with cheap fakes smartphones, Infinixmobility has released all their licensed smartphone dealers and stores in Nigeria. This will help in knowing original Infinix stores and also help in reducing the numerous fake Infinix versions being sold in the market today. These Infinix licensed stores are spread across all the states in Nigeria including Lagos, Abuja, Port-Harcourt, kano, Ilorin, Ibadan, Ijebu, Edo, Aba, Abeokuta, Jos, Warri and all other states in the country. All you have to do is to locate any licensed shop nearest to you and get your Infinix smartphone purchased at no risk. Select the country, choose your city, then click on search for the detail to display. Don't fall victim of fake infinix smartphones… Always check before you buy. Huawei has launched its new smartphone, called the Honor 6A. 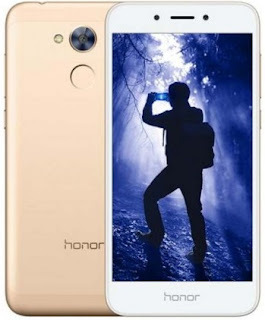 The Huawei Honor 6A is a budget smartphone that features a full-metal unibody along with a fingerprint scanner. The smartphone comes in two variants - 2GB RAM with 16GB internal storage and 3GB RAM with 32GB internal storage. The Honor 6A is a dual-SIM smartphone with 4G LTE support that runs EMUI 5.1 based on Android 7.0 Nougat. It sports a 5-inch HD (720x1280 pixels) display and is powered by an octa-core Qualcomm Snapdragon 430 SoC wherein four Cortex-A53 cores are clocked at 1.2GHz and four Cortex-A53 cores are clocked at 1.7GHz. For graphics, the device houses an Adreno 505 GPU. As mentioned before, there are two RAM and storage variants - 2GB RAM with 16GB inbuilt storage and 3GB RAM with 32GB inbuilt storage. The storage is expandable via microSD card (up to 128GB). The Honor 6A offers a 13-megapixel rear camera with a 28mm 5P lens with features like PDAF, full-HD video recording, and dual-LED flash. On the front side, the smartphone has a 5-megapixel camera. Honor 6A comes with a fingerprint scanner below the camera at the back which the company claims will unlock the device in just 0.5 seconds. Apart from 4G LTE support, the smartphone also comes with Wi-Fi (802.11 b/g/n), Bluetooth (v4.1), GPS, and GLONASS. It packs a 3020mAh battery under the hood that is rated to deliver 12 hours of video playback or 57 hours of music playback on a single charge. It measures 143.7x70.95x8.2mm and weighs 143 grams. However, the smartphone is priced at CNY 999 (roughly Rs. 9,400) for the 3GB/ 32GB model. The smartphone will go on sale starting June 1 in China and it will be available on Vmall.com and JD.com. There is no word as to when the company will launch the smartphone in the global market. The smartphone will be available in gold, silver, blue and pink color options. The Samsung Galaxy Note 7 is as dead as 2016. But Samsung will return in 2017 with a follow-up device that, finger's crossed, will not explode. Samsung is now taking the precaution of sourcing its battery cells from a new supplier; reports state the firm will bring in fellow Korean OEM LG, or at least its subsidiary, LG Chem, to produce battery cells for the Galaxy Note 8. As far as we are aware, LG hasn't produced an exploding battery smartphone to date, so this SHOULD mean the Galaxy Note 8 will be a safe device for consumers. New word has emerged following the Galaxy S8 launch suggesting that Samsung is already hard at work on the Galaxy S9 for 2018. This is not too surprising given how the industry works. The news comes via Korean publication The Bell, which cites unnamed inside industry tipsters who allege that Samsung has been working on the new display panel for the Galaxy S9 since March this year. If this is true, it means Samsung is six months ahead of the schedule it had in place for the Galaxy S8 in 2016. The report goes on to add that systems Samsung has put in place following the Galaxy Note 7 "explosiongate" debacle have streamlined its development processes. This greater efficiency is thought to be the cause of Samsung being able to have the Galaxy S9 already on the drawing board. "Since late last month, a display team for the S9 has started the development work with aims to supply samples from mid-April. About a month after the display, other key parts such as modules are expected to be developed in phases," said one of the sources. However, of REAL interest right now is that this tip-off also brings us word of the Galaxy Note 8. Allegedly it will feature the largest Samsung smartphone display to date at 6.32in. What's more, although the feature was rumoured for the Galaxy S8 and did not appear on launch, the Galaxy Note 8 will apparently feature a fingerprint sensor embedded under the display glass. The Galaxy Note 8's dual-camera hardware will be better than the equivalent dual-snapper on current-gen iPhone 7 Plus. This is according to the latest research note from Ming-chi Kuo, the prominent analyst from KGI Securities who has a reputation for being accurate regarding Apple rumours. In the note, Kuo said the dual-camera on the Note 8 will be "the most important upgrade" for the handset. It's believed it will feature a 13MP wide-angle lens, as well as a 12MP telephoto lens, both will feature optical image stabilisation (OIS) and 6-element lenses, and the setup will be capable of 3x optical zoom. Kuo also reaffirmed existing rumoured specs including a 6.4in QHD+ Super AMOLED display, and either Exynos 8995 or Qualcomm Snapdragon 835 processing hardware. "The company will strive to maintain profitability through robust sales of the Galaxy S8 and S8+ and the launch of a new flagship smartphone in the second half," it said. While the Galaxy Note 8 isn't mentioned by name, it is really the only other brand Samsung has that could accurately be described as a flagship. The Samsung Galaxy S8 and Galaxy S8 Plus are now both official. After months of leaks and speculation, the Galaxy S8 is officially here. And just as the leaks suggested, it is one hell of an update. The handsets' themselves are stunning to behold. They're beautiful slabs of technology that are ALL display on the front. In the hand they feel lightweight, premium and beautifully executed. 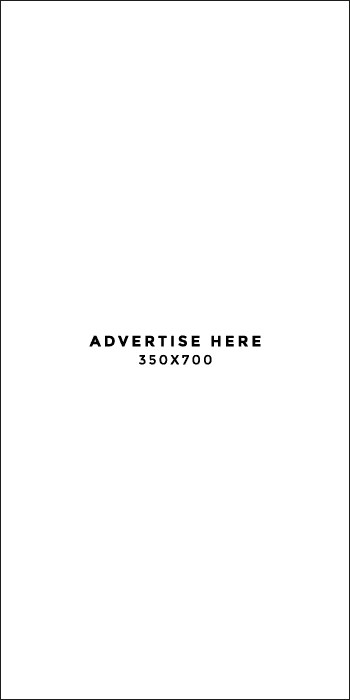 Samsung has outdone itself in this regard. Even compared to the awesome Note 7 and Galaxy S7. The whole Galaxy Note 7 debacle has been an unpleasant thing to watch; we like Samsung's products, we like the Galaxy Note series, so to see the whole thing fall apart at the seams isn't exactly great. However, one of the more distressing aspects of the whole crisis was the idea of the lasting impact on Samsung; whether or not Samsung could recover from such a massive PR disaster and how badly it might affect the firm's earnings - make no mistake, this is the kind of thing that can put a permanent dent in a company's reputation and cash flow if not handled properly. Samsung has now concluded its investigations into what was wrong with the Galaxy Note 7's battery, officially ending months of speculation. Samsung published a 50-minute video detailing exactly what happened and what caused the handsets to overheat and explode, as well as humble apology for the issues it caused its customers. "First of all, I deeply apologize to all of our customers, carriers, retail, and distribution partners. [...] We believe that, as a first step to regain your trust, it is important to provide you with a thorough understanding of the cause behind the Galaxy Note 7 incidents and to implement a comprehensive plan to take preventative measures." The extent of the investigations was enormous; Samsung built a new building for the express purpose of a thorough investigation. It also commissioned three independent reports and had 700 of its own engineers hard at work on the case. The Note 8 is, therefore, 100% coming in 2017. This is risky though, as Samsung's own research in its native South Korea has shown that a lot of people have lost trust in its Note brand. Still, this hasn't stopped Samsung pressing on with a successor model for 2017, as well as a re-release of the Note 7 itself. I know, I know – the Note 7 issue was bad. But I think Samsung can bounce back. 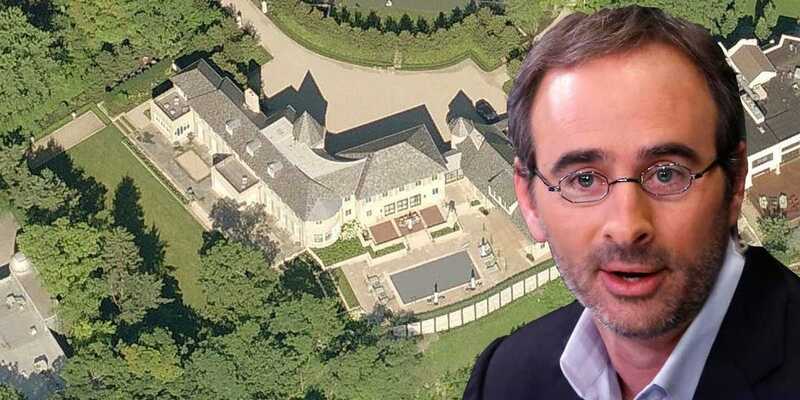 The Samsung brand is immensely strong and while this issue was bad, Samsung did handle it well and has invested heavily in procedures that will ensure it never happens again. Would I still buy a Note device? Hell yes. Lightening seldom strikes twice in the same spot, so I cannot see another Samsung phone exhibiting the same issues as the Note 7. Not unless someone inside Samsung was hell bent on sabotaging the company! Samsung's Galaxy Note 8 also has a codename – BAIKAL. News of this codename surfaced on Twitter over the weekend and reports suggest Samsung might just be prepping a new, exclusive colour option for its upcoming Galaxy Note release. However, there may be another codename. According to SamMobile, the Galaxy Note 8 is codenamed "GREAT". "According to our sources, the Galaxy Note 8 is codenamed Great. You read that right. Great, and not Baikal as had been previously rumored. If that's not a big sign that Samsung is doing all it can to make the Galaxy Note 8 special, we're not sure what would be," said the report. But the source also revealed a model number for the handset; SM-N950F. Now that number specifically refers to the international variant, as Samsung is known to put particular letters on the end denoting different regional models. The Samsung Galaxy Note 8 is widely believed to be the first 4K handset from Samsung. Beyond this Samsung will focus on quality, especially in the battery department, and further refinements to the handset's performance and overall aesthetics. The Galaxy Note 8, reports suggest, could be more expensive than its predecessors as well. All the new spec and hardware, as well as Samsung's losses in 2016 off of the back of the Galaxy Note 7 discontinuation, all point to a new premium price mark-up. Apple's next-generation iPhone 8 Pro model will also be more expensive than anything that came before it. Multiple reports claim it could well be the first phone to cost more than $1000. Latest rumours suggest the Samsung Galaxy Note 8 will get a release inside the second half of 2017. This gives Samsung enough time to market and sell a bunch of Galaxy S8 handsets before it brings its next-generation Note, arguably the more interesting release, to market. Speaking to press on the findings of the firm's investigation into the ill-fated Galaxy Note 7, Samsung's mobile chief Koh Dong-jin confirmed the company would continue to develop, produce, and sell Galaxy Note series smartphones and devices. More directly, he said in an interview with CNET, "I will bring back a better, safer and very innovative Note 8." Samsung's investigations for the Galaxy Note 7, including surveys with consumers, appear to have only deepened the firm's resolve to correct things and NOT to abandon the Galaxy Note brand. "We found through the investigative process, we knew there are lots and lots of loyal Note customers," he said. Samsung US president, Tim Baxter, added that its surveys revealed a lot of Galaxy Note 4 and Galaxy Note 5 buyers are still waiting for a new Galaxy Note model to upgrade to. "They made it clear, they want a Note," he said. For Koh, as well as wanting to earn back customers which have been lost, and to keep happy the ones who are still patiently waiting, there is the personal aspect in keeping the Galaxy Note brand alive - his team was largely responsible for co-developing the original signature S-Pen stylus with Wacom. According to December 19 2016 reports out of Samsung's home nation of South Korea, the Galaxy Note 8, assuming that's its name, will use a battery cell sourced from fellow Korean firm LG. The word comes via The Investor, which claims that although things are not final, Samsung is in talks with LG Chem, LG's subsidiary company which, amongst other things, produced battery tech, with an eye to LG Chem not only providing the Galaxy Note 8 battery in 2017, but also for subsequent smartphone models from Samsung. The report adds that a deal being reached is "likely". It would appear Samsung is attempting to branch out to other battery suppliers following the Galaxy Note 7 exploding battery debacle which causes the handset to be discontinued. The Note 7 used faulty batteries from Samsung's existing suppliers, its own Samsung SDI subsidiary and Chinese firm ATL; although it was the batteries from Samsung's own subsidiary which were explosive. On January 3 2017, new details have emerged which claim the Galaxy Note 8 will feature a 4K display and Samsung's much-rumoured Bixby AI assistant, which is also pegged to be a main feature aboard the Galaxy S8 flagship due for launch much earlier in the year. The word comes via sources speaking to Business Korea, which also allege that more Galaxy Note 8 related info will come to light following Samsung's release of its investigative report into the Galaxy Note 7, due for publication later in January. It cites an official from one of Samsung's partner companies: "Samsung will introduce 2K resolution displays in the Galaxy S8, but it will use 4K resolution displays in the Galaxy Note 8 to realize improved virtual reality (VR) functions. I heard that it will connect with new Gear VR wearable." "The Galaxy Note 7 was very popular before user reports began circulating about devices that exploded or caught on fire while charging. As the phablet market, which was developed by Samsung Electronics, has been growing, the company will release the Note series this year again," said the spokesperson. Like the Samsung Galaxy S8, which has leaked all over the shop in recent weeks, the Samsung Galaxy Note 8 WILL NOT feature a Home key. Instead, it will feature an all-display front that will allow Samsung to cram a bigger display panel inside the same sized chassis as last year's Galaxy Note 7. The removal of the Home button makes the handset a lot more engaging to behold as well; it's just a slab of super high resolution display awesomeness. There are usually plenty of crossover between the Galaxy S and Galaxy Note's overall design language. This is always a good thing because Samsung's design department has really come into its own in recent time, and the Galaxy S8 and Galaxy Note 8 will be no exception to this rule. The Samsung Galaxy Note 8, true to form, will be one hell of a handset and the most recent rumours suggest Samsung will outfit the handset with a 4K display in order to maximise the Note 8's VR capabilities. Other updates will likely include a refresh to the design, as the build of the handset is said to be one of the factors that contributed to issues with Galaxy Note 7, a bump in processing power, new dual-camera technology and likely more RAM. Reports suggest Samsung has also revised and updated its S-Pen stylus as well but potentially the biggest new addition to the handset – and Samsung's phone ecosystem at large – is the company's new AI technology, known as Bixby. Bixby was developed by the creators of Siri, a company called Viv Labs. Do not be fooled by the connection, however, as reports suggest Bixby will be A LOT more advanced than Siri. Bixby is shaping up to be Samsung's answer to Amazon's Alexa and Google's Assistant, which are two of the smartest digital assistants on the planet right now. Bixby won't just appear inside the Galaxy Note 8, though. Reports indicate that Samsung will bring it to the Galaxy S8 inside Q1 2017, as well as other products in its ecosystem like Samsung's SmartThings platform which could be HUGE in 2017/18. You may have noticed that dual-sensor camera designs were quite popular in 2016, appearing on a handful of phones, including the iPhone 7 Plus, LG G5, Huawei P9 family, and Huawei Mate 9, to name but a few that immediately spring to mind. Of course, the feature isn't that new, it's just the first year in which it's really taken off - HTC was first to market with the tech a while back but poor implementation meant it didn't cut the mustard for its first outing. There have been plenty of rumours of pretty much every major manufacturer and their forthcoming premium devices packing dual-camera tech at some point or other. However, to date, although its Galaxy S and Galaxy Note series have been rumoured for dual-camera tech, so far Samsung hasn't jumped on the bandwagon. That could be about to change though. While we should stress as always that mobile tech patents are filed all the time by major OEMs only to never materialise, word has emerged on January 3 2017 that Samsung has filed a patent for a dual-sensor camera. The patent was picked up by sources in Korea, where it was filed. "The diagrams in the 37-page document clearly states that Samsung is aiming to enhance the quality of both the background and objects in the foreground," reports GSMArena. "The wide-angle lens scans for anything that is a moving object and if there's any, the second lens - the telephoto one tracks the image in real time and enables you to adjust zoom and other settings without losing focus." It's tantalising to speculate that such tech might appear in the Samsung Galaxy S8, Galaxy X or Galaxy Note 8, although given that the Galaxy S8 is pegged to be arriving some time between March and May it seems unlikely there would be time to implement the new tech unless it's already been developed and, frankly, had it already been developed we'd expect to have seen leaks and other details much earlier. Still, it could be a viable candidate for the other two handsets, as these are both rumoured to be coming in the second half of 2017. The Samsung Galaxy Note 8 will get a release later on in 2017. We all know this. But Samsung has now confirmed this is actually the case; and this is odd because normally handset-makers seldom utter anything about new handsets before they're official. But then Samsung has a lot of achievements to unlock in 2017. For starters, it has to beat Apple's iPhone 8; second, make up for last year's Note 7; and, finally, it needs to reassert itself as the de facto king of the phone space. Samsung's Galaxy S8 launch went swimmingly; reviews were extremely positive, our's included, and analysts expect Samsung to sell a record number of Galaxy S8 units in 2017/18. The company, however, is keen to do the same with its Galaxy Note 8 handset as well – this is likely why it is already talking-up the handset in official press releases. "As for the year ahead," said Samsung in a press release, "Samsung anticipates market demand in smartphones to slightly increase with solid replacement demand growth in the mid- to high-end segment." It added: "However, competition is expected to intensify with newly launched smartphones in the market. The company will aim to improve performance YoY by maximizing sales of the Galaxy S8 and S8+ and successfully launching a new flagship smartphone in the second half. In addition, the company will maintain profitability in the mid- to low-end segment." The "new flagship smartphone", in case you were wondering, is the Galaxy Note 8. Samsung acknowledged the handset earlier on in 2017 as well, saying it was working on making the Galaxy Note 8 a safer, more innovative release than its predecessor. Normally, Samsung's Note releases tend to be more exciting than its Galaxy S one's. And this year's Galaxy Note 8 seems certain to carry on that tradition. Expect massive specs, a new design and likely some of the best imaging ever from its new camera tech. As is usually the case, plucky designers keen for YouTube views and likes have begun designing renders of the Samsung Galaxy Note 8 based on what's currently known about the handset and the direction Samsung intends on taking it in. In the one included below, which was created by Concept Creator, the Galaxy Note 8 is imagined in all its glory with a stunning all-front display, ultra thin chassis and a dedicated dual-camera lens on the back. And the best part about this concept? It's probably pretty close to what Samsung will eventually unveil later on this year, as everything included in it has either been leaked or hinted at. Will Samsung Galaxy Note 8 Pack In 4K AMOLED Display? One of the Samsung Galaxy Note 8's key USPs could well be a 4K display, which is designed not only to enhance media viewing on the handset but also VR when used in conjunction with one of Samsung's GEAR VR headsets. If Samsung manages to fit a 4K AMOLED panel inside the Galaxy Note 8 it will be a rather big deal, as no one – save for Sony – has managed to do this yet. Will Samsung's upcoming Note 8 be the first Galaxy device to go 4K? Here's what Business Korea had to say on the matter: "Samsung will introduce 2K resolution displays in the Galaxy S8, but it will use 4K resolution displays in the Galaxy Note 8 to realize improved virtual reality (VR) functions. I heard that it will connect with new Gear VR wearable." There are plenty of questions surrounding the Galaxy Note 8. Things like whether Samsung will alter the design much or what type of CPU it will use. All of these are things we'll likely learn more about in the coming months. But one thing is certain about the Galaxy Note 8: Samsung cannot just rehash the Galaxy S8 with S-Pen support. That simply will not do. In order to do battle with Apple's iPhone 8, the Galaxy Note 8 will need to have many, unique USPs. Well, this image below could well be our first look at the Galaxy Note 8. It comes via SlashLeak and appears to show the new Galaxy Note 8, running Bixby alongside Samsung's well known S-Pen. The Galaxy Note 8 in this image shares more than a passing resemblance to the Galaxy S8. It has no Home key, an all-display front and what looks like an EDGE display on both sides. The Galaxy Note 8 will apparently have a 6.32in curved AMOLED display, making it larger than the Galaxy S8 Plus. The phone has also been linked with 6GB of RAM and Qualcomm's Snapdragon 835, though it is 100% likely certain regions will get an Exynos-powered version. Things like a curved, 4K AMOLED panel and a new, ultra-slim design will help, though not if it comes at the expense of battery life. Basically, Samsung has to push the boundaries without impinging on the outgoing handset's performance. There has been plenty of talk about Samsung releasing a foldable Android phone called the Samsung Galaxy X. And this could still happen in 2017, though it is more likely to be a smaller release and not a "flagship" release. Multiple sources have confirmed that Samsung will "test the waters" with a limited run of Galaxy X handsets in 2017 in order to access demand before committing to mass production. This leaves the Samsung Galaxy Note 8, which is for all intents and purposes Samsung's other flagship line, next to the Galaxy S brand devices. Reports suggest Samsung is keen to fix some of the Galaxy S8's faults with the Galaxy Note 8 – so, a working version of Bixby, dual-lens camera setup and no glitches with the display.